What Is The RFP Process For Commercial Landscape Maintenance? 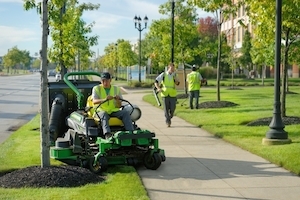 As commercial landscape maintenance professionals, we’re hired to keep our Northeast Ohio clients’ commercial property grounds healthy, attractive and safe. Ultimately, that’s the goal of every request for proposal (RFP) we field from potential clients. They approach Schill because they like what they see on other properties we service, or they are unhappy with the service they’re getting now and want to know how we’ll do it differently. We love it when people ask us that question: How will you do the job differently? We share our Schill Sustainability Commitment and talk about our quality promise—C.A.R.E., for Consistency, Accessibility, Responsibility and Expertise. 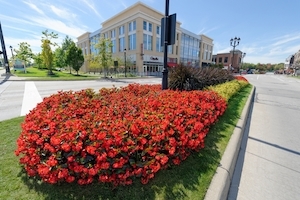 We like to point out key properties we care for, such as Crocker Park in Westlake, and explain what measures are required to accomplish total landscape/property maintenance year round. But what might surprise our prospective clients is that we spend more time asking questions (and listening!) than talking about what we do. We believe the RFP process is the foundation of a strong, long-term relationship with clients and it begins with open communication and understanding expectations. Open dialogue and honest feedback before a proposal is ever generated sets the stage for a positive experience for everyone: property managers, stakeholders (residents/retail lessees), guests who visit the property. We admit that we love a rigorous request-for-quotation process. We like to lay every detail out on the table. In doing so, Schill can prepare a solid RFP that addresses your Northeast Ohio property’s needs on all levels, and everyone goes into the relationship knowing the rules of the game. Mow the lawn. Fertilize the property. Clean up leaves (and other green waste) in spring and fall. Remove snow from parking lots and walkways. Deice the grounds to ensure public safety. Notice something about this service list? It is very general. Mow the lawn: That’s great, but do you expect that to happen with walk-behind equipment or riding mowers that can cut more efficiently but may be more disruptive in some residents’ opinions? Prune the shrubs: Let’s get more specific. Do you prefer a manicured look or a more natural finish, and will residents be bothered by the noise if our crews use power shears—are hand-pruners more acceptable for this job, on this property? That why, at Schill, we like to drill down and tease out every last detail during the bidding process, before we create a proposal. Once we ask questions to find out exactly how property managers want a job performed, we explain how we can achieve their goals. The techniques we use to care for your property can impact pricing, depending on the time and labor involved to accomplish the task as requested. For example, using hand pruners rather than power shears means dedicating more time to trimming shrubs. If the board expresses a preference for using walk-behind mowers in certain common areas, then we offer insight on the efficiency gained with riding equipment so they can make that final decision understanding the potential cost increase associated with their preference. No one wants invoicing surprises. That’s why operational and financial details are worked out before a proposal is ever presented. The property walk-through is an integral part of bidding a landscape project because we can see exactly what a client wants addressed in the proposal. We also use that time to ask questions and point out areas that might need attention. For example, we may notice that an irrigation system is not properly calibrated and ask about fixing this issue. We may suggest a landscape enhancement if beds are outdated or areas of the property could benefit from a “face lift.” We offer our expertise during these walk-throughs and introduce these ideas before we create a proposal — that allows us to discuss them in advance! A property walk-through to review expectations helps us visually capture your commercial landscape maintenance needs. But that’s not enough to generate an accurate, fair proposal that meets your expectations. We like to sit down with prospective clients’ decision makers so we can hear from everyone who will be involved in assessing the success of our work. And, once we begin working with a client, we attend regular board meetings so we can get to know members and meet new faces that transition into positions, as well. We believe that digging for details and educating clients about pricing should happen in this board setting so stakeholders are on the same page. This prevents communication breakdowns where one person on the board thought the service would be performed one way, while another member expected a different approach. He said no power shears; she said hand pruners take too much time. We avoid these exchanges by ironing out the details. It all goes back to establishing ground rules before the project begins. At Schill, we take this communication a step further with an online portal. This ensures complete transparency and helps property managers, who are accountable to boards and residents, communicate the status of landscape maintenance tasks. Our online portal gives clients a backstage pass to our operations so they can access a real-time status update on service requests. Schill cares about your property and community—and the planet. The request for quotation process is the first step toward committing to a comprehensive plan for your property that includes quality, sustainability and reliability. 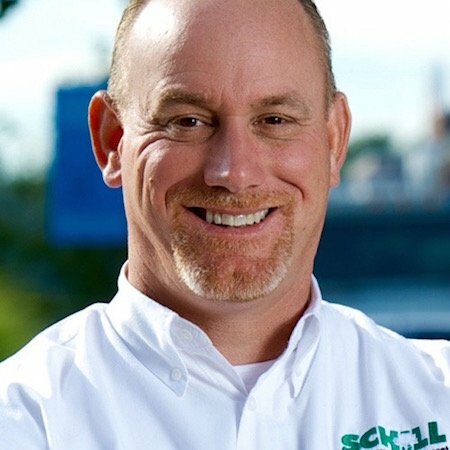 Let’s talk more about how to vet a commercial landscape maintenance firm, and why a rigorous RFP process with Schill is a different, more rewarding experience. Give us a call any time at (440) 327-3030 — or fill out our simple contact form and we’ll get in touch with you!